The TSP Allocation Model (TSP) helps you manage your Thrift Savings Plan account. 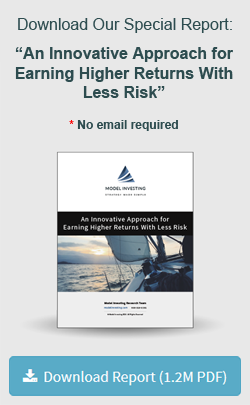 It utilizes a dynamic approach to asset allocation, allowing you to earn higher returns while taking on less risk. This tutorial will guide you through applying the TSP Model’s recommendations to your own personal TSP account. 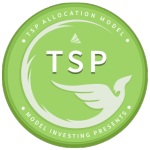 The TSP Allocation Model is updated monthly. Updated recommendations are accessible with a premium subscription and are available on the first trading day of each month. They represent proper positioning for the duration of that month. To get the most out of the TSP Model, you will want to update your holdings immediately upon receiving the latest recommendations. The TSP Model works by analyzing the performance of the individual TSP funds each month, and allocating the portfolio to the top three ranked funds. The TSP funds that are reviewed for inclusion in the TSP Model portfolio are listed in the table below. Each month, when you receive the latest recommendations, sign in to your TSP account and update your specific allocations according to the table below. 1. A contribution allocation directs how new money will be invested. It does not change the current allocation of your existing account balance. 2. An interfund transfer (IFT) allows you to redistribute all or part of your existing TSP account among the different TSP funds. For the TSP Model to be of benefit, it’s imperative that you make the appropriate interfund transfer (IFT) each month to align your allocations with the top 3 ranked funds. You may also change your contribution allocation to match the TSP Model’s most recent selections, but this is not required. That’s really all there is. At the beginning of each month, review the latest TSP Model selections and adjust your allocations, if needed, to match the model. 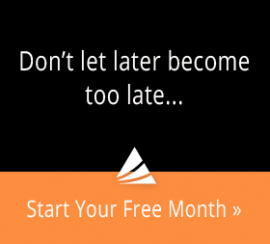 You will find that sometimes the TSP model selections do not change from one month to the next, in which case no changes are needed to your portfolio. The historical backtested performance of the TSP Model is based on following the model exactly, moving the entire portfolio according to each month’s recommendations. While the results speak for themselves, we understand if you are hesitant to fully embrace an investment strategy that you are not familiar with. If this is the case, we suggest using only a portion of your account to follow the TSP Model’s recommendations. 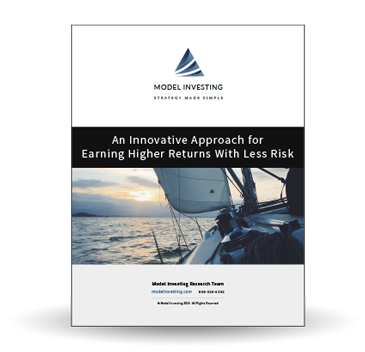 As you see the results over time and become more comfortable with the model’s performance, then consider applying this strategy to a greater percentage of your account. For more sophisticated investors, you may also consider modifying the recommended allocation percentages to better suit your specific goals and risk tolerances. Allocations can be tailored to whatever you are comfortable with, as long as you follow some basic guidelines. The primary consideration to keep in mind if you choose to modify the suggested allocations is to have the highest allocations in the top ranked funds, and lowest allocations in the lowest ranked funds. In the table below we have included some hypothetical allocations, followed by an explanation of the benefits and drawbacks of each. Allocation 1 evenly distributes your account balance across the top 3 ranked funds. By not investing more in the higher ranked funds and less in the lower ranked funds, you would miss out on some of the benefits of relative strength and momentum. Your portfolio may be less susceptible to losses as a result of greater diversification, but its growth potential may also be slightly reduced. Allocation 2 strongly over-weights the top ranked fund. This can enhance performance, but also increases overall risk as the portfolio is less diversified. It can be an effective strategy for increasing returns, just be aware that it can also add volatility to your portfolio and potentially result in greater losses during periods of market turmoil. Allocation 3 misses the concept of allocating a higher percentage to the top ranked funds. This type of allocation should be avoided at all costs. To reiterate, the allocations used in the TSP Allocation Model provide a good starting point and are what the historical backtested results are based upon. If you choose to modify your allocations, your performance will differ from the TSP Model’s historical and future results. A final reminder, not following the TSP Model’s exact strategy and recommendations will result in returns that differ from the model’s historical and future performance. This wraps up the TSP Model Tutorial.